PURPOSE: Teach our photography students job skills and give them an opportunity to serve the families in our neighborhood. MAJOR TAKEAWAY: Rituals of celebration can knit together the social fabric of a neighborhood. 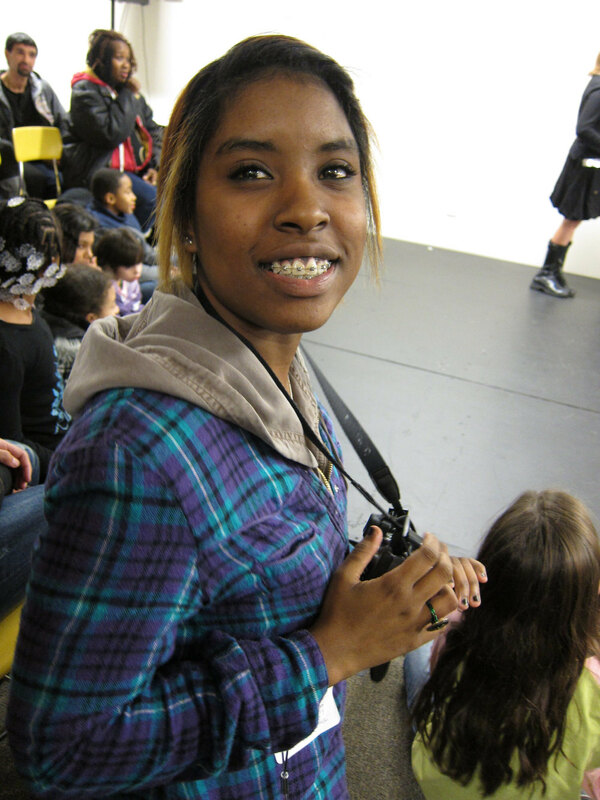 Our annual Family Portrait Days at Orange Korner Arts accomplished two priorities of of the art courses offered to youth in North Philadelphia. We wanted our courses to teach students job skills that they will be able to employ in future careers. We also wanted the students to have opportunities to serve their own neighbors within our community. 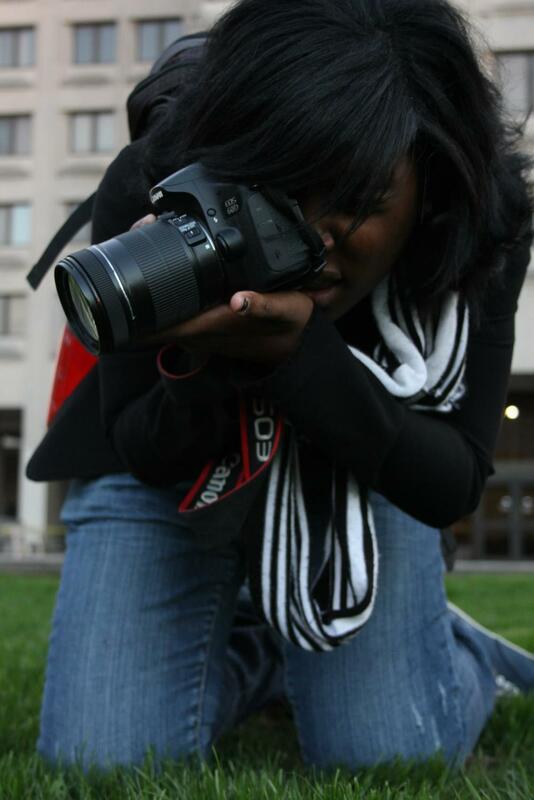 Orange Korner's photography course was one of our most popular offerings. Our Teaching Artist worked full time with a professional photographer as well as had a small business shooting portraits and special events. With each group of students, she would spend one week teaching them how to set up a photography studio. They would learn how to shoot portraits by taking photos of one another. We then had the idea to invite the community members in to give the students a more realistic experience of operating a photography studio. 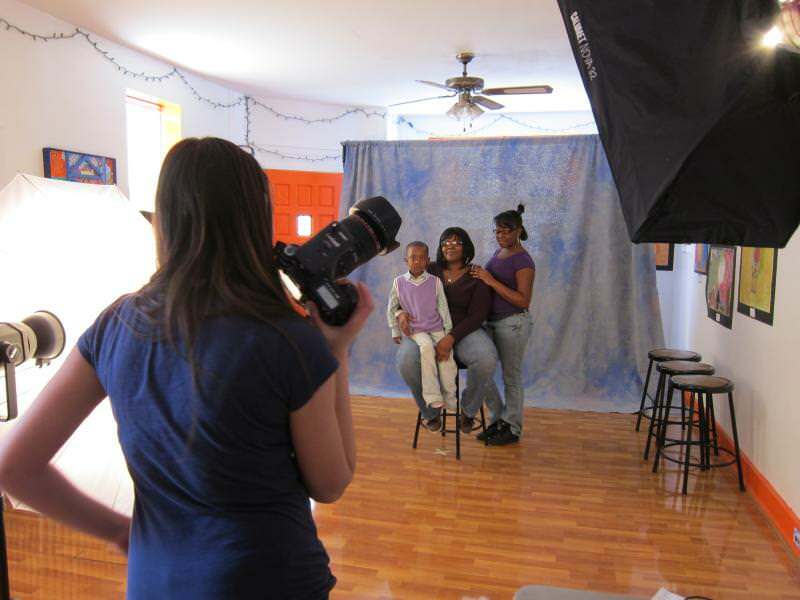 As a professional photographer, our teaching artist provided all of the needed equipment for our Family Portrait Days. I established a partnership with a photo printing company so that we could print the families’ portrait packages at a discount which enabled us to offer quality portraits to our neighbors at a price well below other local studios. The Family Portrait Days began with the students meeting our Teaching Artist at Orange Korner Arts early to set up all of the equipment for the day. For the first few years, our clients were mostly the families of the youth who were taking classes at OKA. However, the word about the quality of our portraits spread and we began to have to have a waiting list. After a few years, we began to host Family Portrait Days twice a year to accommodate more families. Alexis was a student who participated in our first Family Portrait Day in Spring 2008 went on to graduate with a bachelors in Photo Journalism and returned to teach Photography at OKA in the Fall 2015. She remembers that though the portrait days were long and tiring, she learned real skills that she continues to use today. Each year began to feel more and more like a reunion as the families would return for new portraits. I enjoyed seeing the families catching up with one another over snacks while they waited for their turn, celebrating how their kids had grown over the year, and “ooh-ing” and “ahh-ing” over the way their portraits turned out. These Family Portrait Days became a day to truly celebrate one of the most apparent assets within our community: strong families.